If you’re looking for a thought-provoking experience, you can bring along your torn jeans or unused shirt when visiting the Museum of Modern and Contemporary Art in Nusantara (Museum MACAN) in Jakarta between Nov. 17 and March 10. Inside the museum, you will find volunteers who will chat with you while mending or embellishing your clothes. At the end of the session, you can choose whether to include your clothes as part of the installation, or take them home as a keepsake of your encounter with the volunteers. 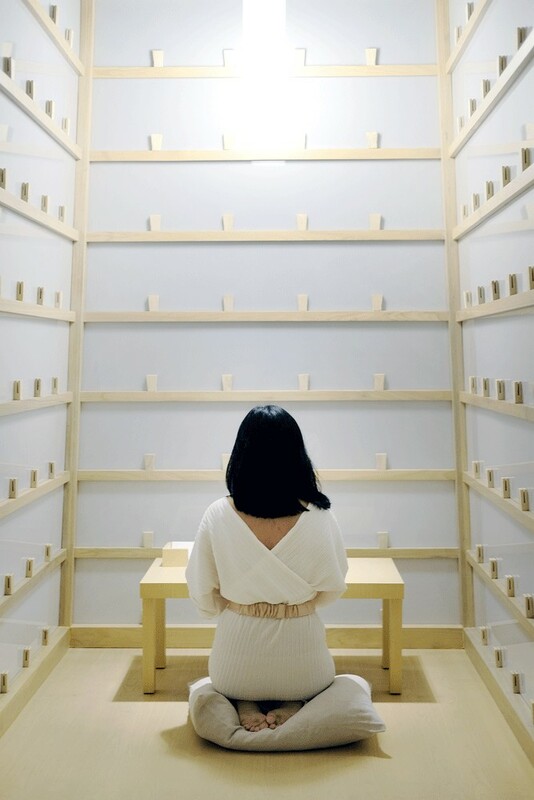 This interactive installation, titled The Mending Project (2009 to 2018), is part of the “Seven Stories” solo exhibition by Taiwanese-American artist Lee Mingwei. The exhibition opened just after Museum MACAN celebrated its first anniversary earlier this month. Aside from Lee, Museum MACAN also features a solo exhibition of Indonesian artist Arahmaiani and an audio performance by On Kawara of Japan. 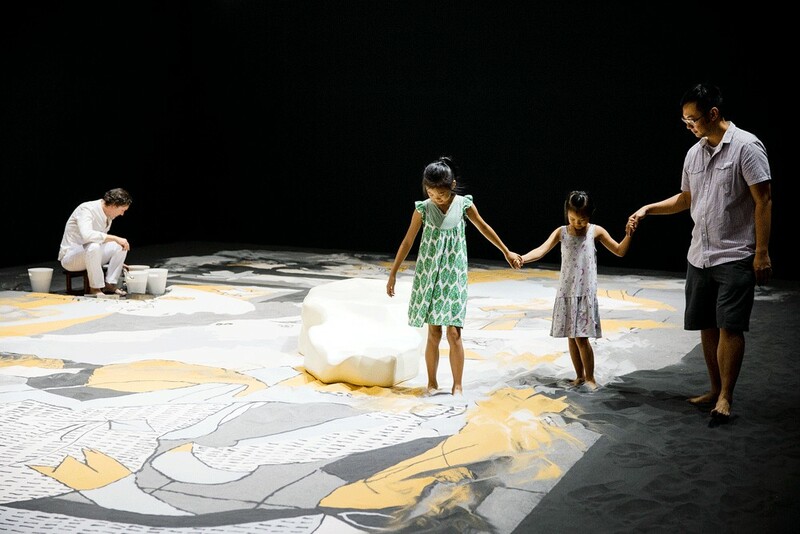 The museum’s director, Aaron Seeto, said the exhibitions presented a chance for the contemporary artists to create a dialogue between Indonesia and the rest of the world. “There is an emphasis on performance — which is incredibly important to the development of contemporary art, and an emphasis on a very individual approach and experience that can be created through art,” Seeto said. Lee Mingwei’s artwork interestingly uses daily activities to invoke profound experience. Lee uses this approach to explore the themes of domesticity, intimacy and trust. One of the highlights of his artwork is a deeply personal installation titled The Letter Writing Project (1998 to 2018). The installation consists of three booths as a place for visitors to write a letter. The visitors should then decide whether to let the museum seal and deliver the letters or leave them open to be read by others. The installation was inspired by Lee’s grief over the death of his grandmother and the things left unsaid between them — which eventually prompted him to write letters to her over the course of one-and-a-half years after her passing. “When you start writing a letter, you are having a conversation with the person who is supposed to receive the letter, but often they are deceased,” the Paris- and New York-based artist said. The audience’s active participation, as Lee noted, made his work richer and complex. Most of Lee’s seven works in the exhibition rely on audience participation, notably in The Dining Project (1997 to 2018) where two strangers selected from a lottery can share an intimate dinner at the museum after it closes. In Sonic Blossom (2013 to 2018), a singer wanders around the exhibition to serenade someone with a rendition of Austrian composer Franz Schubert’s classical piece. Another interesting installation is Guernica in Sand (2006/2018), where Lee recreated Pablo Picasso’s Guernica using colored sand over the course of three weeks. When the work is completed on Jan. 19 next year, visitors will be allowed to walk on the sand. During sunset that day, Lee and three performers will sweep the sand, and the project will be left in its state until the end of the exhibition. Some may consider such an act as an obliteration of artwork, but Lee sees it differently. “So I think it’s very much about the juxtaposition of creation and destruction at the same moment,” he said, noting that one of his friends from India suggested the installation be an embodiment of the Hindu deity Shiva. Meanwhile, Arahmaiani’s solo exhibition titled “Masa Lalu Belumlah Berlalu” (The Past has not Passed) features over 70 works from the artist’s archive spanning nearly three decades. Among the works are Nation For Sale ( 1996 ), 11 June 2002 ( 2003 ) and Lingga-Yoni ( 1994 ), a painting that sparked controversy over its depiction of genital symbols and Arabic text. The Lingga-Yoni painting infuriated Islamic hardliners, but Arahmaiani defended it, saying that there had been a misunderstanding about the painting. “I was accused of blasphemy, and some even said my blood was halal to be drunk,” Arahmaiani recalls, explaining that the Arabic letters are not Quranic verses but derived from an Arabic sentence that translates to “nature is a book”. She added that the genital symbols were a reference to Javanese philosophy on the balance between masculine and feminine energies. Arahmaiani asked viewers to be open-minded when taking in her exhibition as her work deals with culture, society, politics and environmental issues. Last but not least, Museum MACAN presents the Indonesian debut of On Kawara’s audio presentation titled One Million Years. First performed in New York in 1993, One Million Years takes the form of a reading, where a male and female volunteer alternatively read out dates from Kawara’s multivolume collection One Million Years (Past) and One Million Years (Future). The former notes each year over an entire millennium from 998031 BC, while the latter notes the years of an entire millennium through 1001997 AD.